The Martin Act in New York is a pretty broad mandate, perfectly suited for an AG who wants to attack a politically unpopular company—or an entire industry. 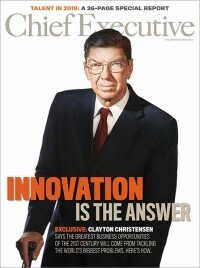 Chief Executive Magazine looks back over a tumultuous and disruptive year for business. The list of things that mattered the most starts with Trump, Bezos, and Musk, not surprisingly. Google's CEO spoke to a somewhat dour but relaxed group of Congressmen on a variety of subjects pertaining to the tech giant. But the real story may be what the hearing failed to address.